Empower your team by reducing interpersonal conflict and diffuse bad workplace attitudes among peers & co-workers. In fact, most of us would rather sit in a dentist's chair before we'd confront one of those bad apples who are making our lives miserable at work. But did you ever stop to think about what kind of price we're paying for that self-imposed misery? It’s sad but true; one or more “bad apples” can spoil a bunch of your best performers or undermine your organizational culture. ATTITUDE!™ helps employees and leaders use emotional intelligence to recognize the characteristics of difficult attitudes in today’s diverse workforce and sort out the problems when they arise. Let’s start with the bottom line first. Less-than-motivated teammates, bossy bosses or rigid coworkers exist in the workplace. There’s no getting around it. We know that one person with a bad attitude can have a negative impact on the entire team or company! So, the question is, “how are your managers and employees responding to someone with a bad attitude?” “Do they have the skills needed to react and respond appropriately?” “Do they respond in such a way that maintains relationships - redirecting and resolving the negativity at hand?” If negativity is not dealt with properly - the problem will only get worse! 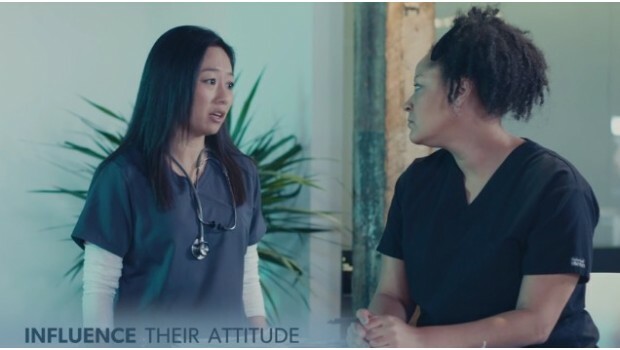 ATTITUDE!™ is designed to provide supervisors, managers and employees in the healthcare industry some practical, easy-to-use techniques for eliminating negativity in the workplace. ATTITUDE!™ is a learning experience to help people understand how attitudes impact relationships and provides a process for overcoming attitudes that may be stifling an organization’s individual and team performance. Click here for the non-healthcare version!